The location was really nice and the people there were kind and polite. My family really enjoy the breakfast. The host provides us with the local food and it tastes good. One of those hotels where you feel that every apartment has been designed individually, with good taste. Not a bulk product. Good breakfast. Fairly good service in English. The place has the fashion of the old buildings, but it is maintaind well. We appreciated he good taste and the personal imprinting in decoration. The room was big. The breakfast was delicious with local products. The staff was very friendly and generous. Highly recommended. wonderful breakfast. super friendly staff. lovely rooms. Incredible host, excellent breakfast, the room was spotless and well appointed with nothing left wanting. 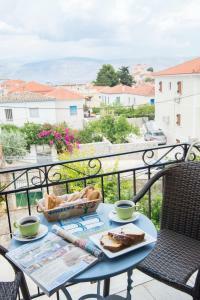 Great view from the terrace and only a 4 or 5 minute walk from the town square. would highly recommend! The houseowner is a warmhearted polite person. It was a wonderful night and breakfast. Everything was freshly prepared and we were served handmade sweets and salty baked products. Delicious....much more than we expected. Also our two dogs were no problem. Thank you sooo much. For sure again. The genuine authentic Greek breakfasts were outstanding and very filling! Could not be bettered. 10 out of 10. I received a very friendly welcome and loved my room with sea view. It was very handy to have a fridge in the room and also having cooking facilities if you need them. Breakfast was plenty and good. Nice opportunity to catch up with other guests in the homely breakfast area. Thank you very much Filoxenia! 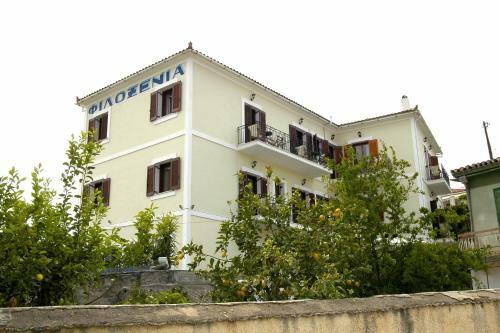 Lock in a great price for Filoxenia Studios – rated 8.5 by recent guests! 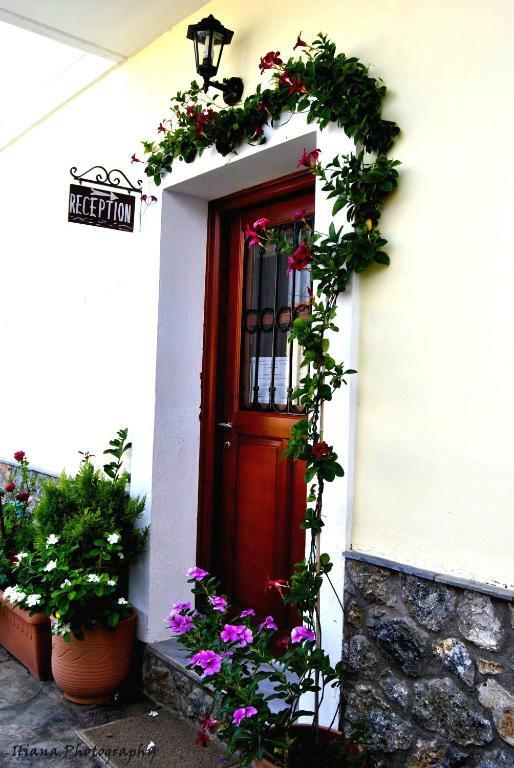 Built in respect with local architecture, Filoxenia Studios offers year-round accommodations in air-conditioned rooms and apartments. Refrigerator, TV and private bathroom are standard. Some include a kitchen with cooking facilities. A traditional breakfast is served each morning at the Filoxenia Studios’s breakfast area with fireplace. 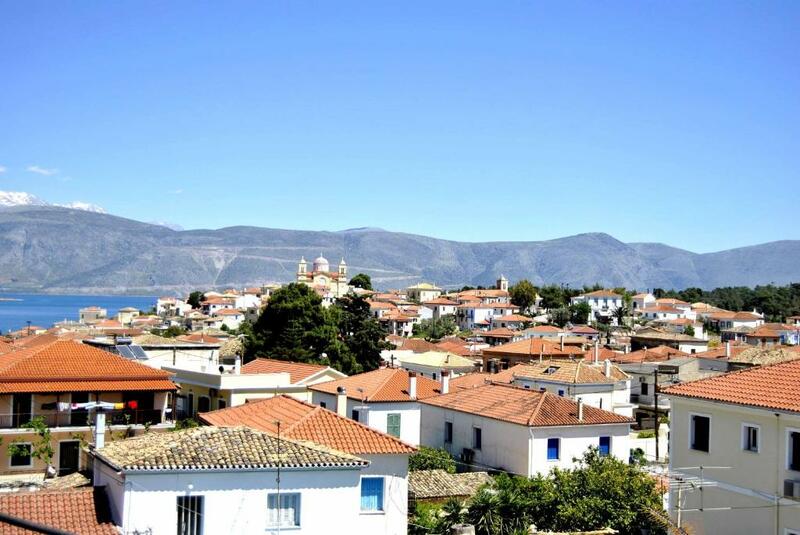 Delfoi Town and the Archaeological Museum are 21 mi from Filoxenia. 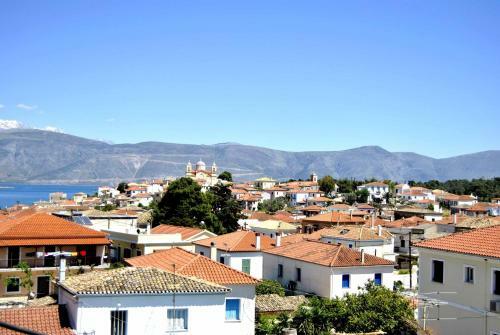 Nafpaktos Town is 37 mi away. When would you like to stay at Filoxenia Studios? Air-conditioned room with a fridge, a flat-screen TV and a hairdryer. 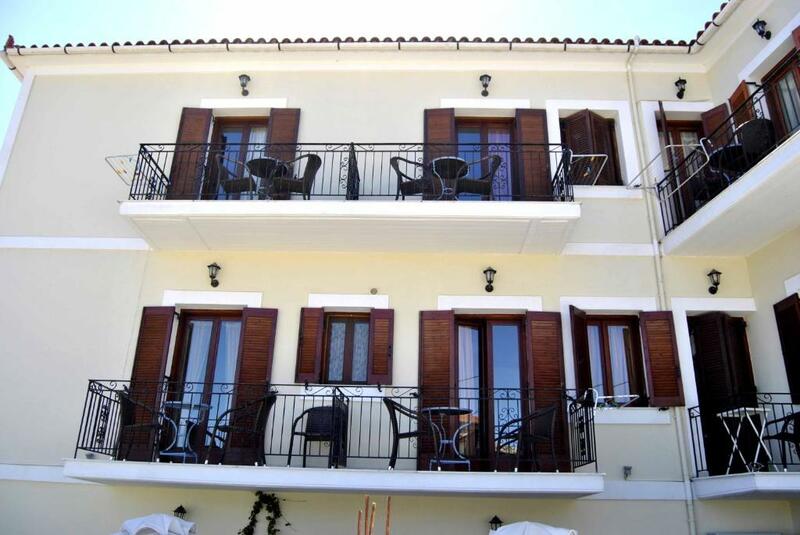 Air-conditioned room with a private balcony overlooking the sea. It features a fridge, a flat-screen TV and a hairdryer. Two-story, air-conditioned studio, featuring 2 bedrooms and a seating room with fireplace. 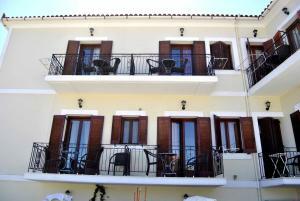 Consisting of 2 bedrooms, this air-conditioned studio features a balcony, a flat-screen TV and a kitchenette with fridge. 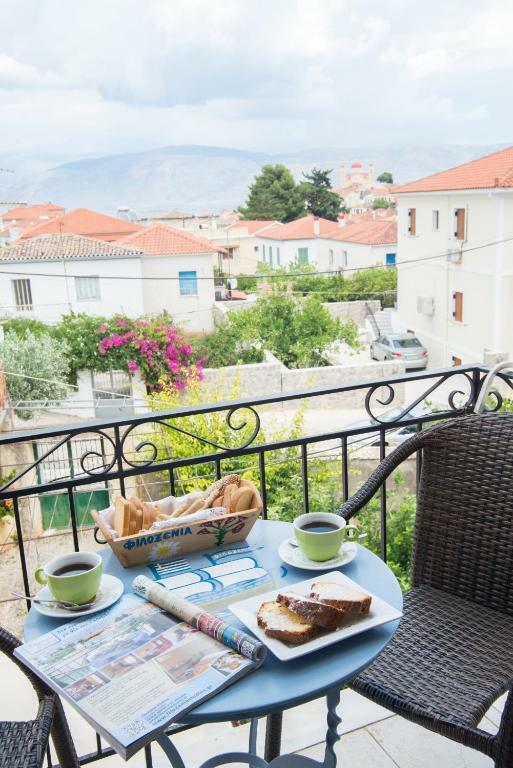 This split-level studio opens to a balcony overlooking the Corinthian Gulf. 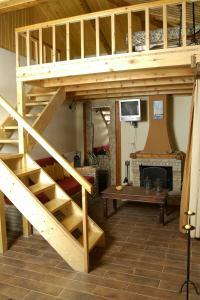 It features air conditioning, a flat-screen TV and a kitchenette with fridge. House Rules Filoxenia Studios takes special requests – add in the next step! Filoxenia Studios accepts these cards and reserves the right to temporarily hold an amount prior to arrival. The water was cold, the bathroom was in really bad condition and the walls were really thin. We couldn't sleep because we could hear some snoring. The only mirror(in the bathroom) was too low so I could not see my head without bending down. There is no private parking. It increases the risk of having someone break in the car and it is a huge problem for someone renting a car. The owner would smoke in the dining room. But not during breakfast. The owner wasn't there all of the time. We had to phone a number on the door to get someone to come. Very nice room. Great Wifi. Nice view from balcony. Breakfast very tasty. The bed was uncomfortable, bathroom was small , no parking , hard to locate , breakfast was very poor . The view from our balcony was ok, we could just make out a bit blue of from the water. The location is right in the middle of the village and not so close to the sea. 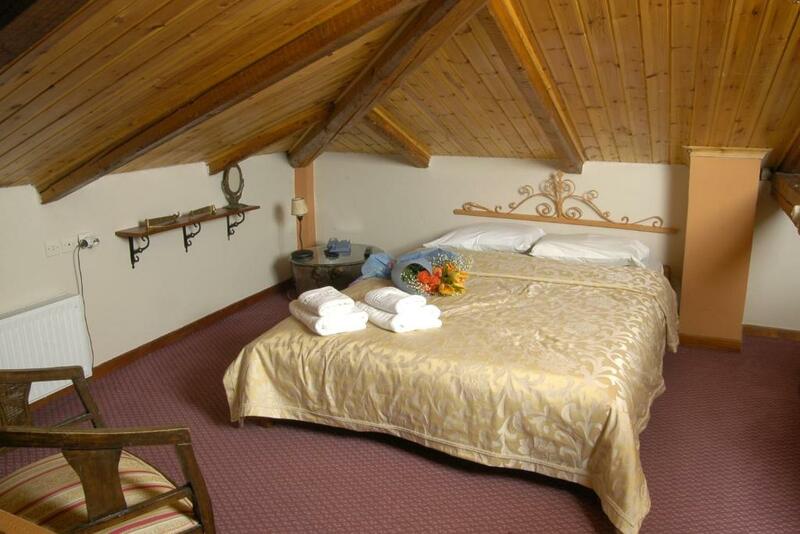 The beds are not very comfortable and the shower is not particularly luxurious. In general it's a fine place. Breakfast is simple but surprising. The room was small and dark. It had a balcony that was shared with the next-door room - so no privacy unless you drew the curtain over the balcony door - then no natural light, this being the only source of light into the room. Despite this sharing arrangement, there were only two chairs and one table out there - first in first served, I suppose. There was a previous occupant's tee-shirt in the wardrobe. The metal bed frames were of the sort you'd expect in a youth hostel and showed spots of rust. There was nowhere to put a second suitcase without tripping over it. The TV was small and only showed Greek language TV stations. The a/c remote battery cover kept falling off. The bathroom ventilation was via opening a window that swung into the door so you had to close it to open the door. The shower rose didn't have a wall mount. The shower curtain was hooked onto a series of radial swinging wires. The wires next to the toilet were bent in to prevent the toilet from being effectively included in the shower, it being so close. The floor waste cover was loose and kept lifting up and sticking to my feet when I stood on it. You had no choice at breakfast. The items were put on your table, whether you liked them or not. As a result, my partner, who doesn't like sweet things, didn't have much to eat. This "system" seemed to result in a lot of food waste. If you wanted to sit outside for breakfast, you had to mix in with smokers. The location was good but hard to find when driving in from the main highway. We were given 9 euros off the room when checking out (see above, though). Well, we don't mind a 10 minute walk to the restaurants. But if you do, be advised that this hotel is a bit further away from the center than most others. Really hard to find and to find again after dinner in the pretty port. Good recommendation for a place to eat. The house is very well situated, above the city and a bay, so the view is magnificent, especially if you give your best and wake up early in the morning, before dawn... 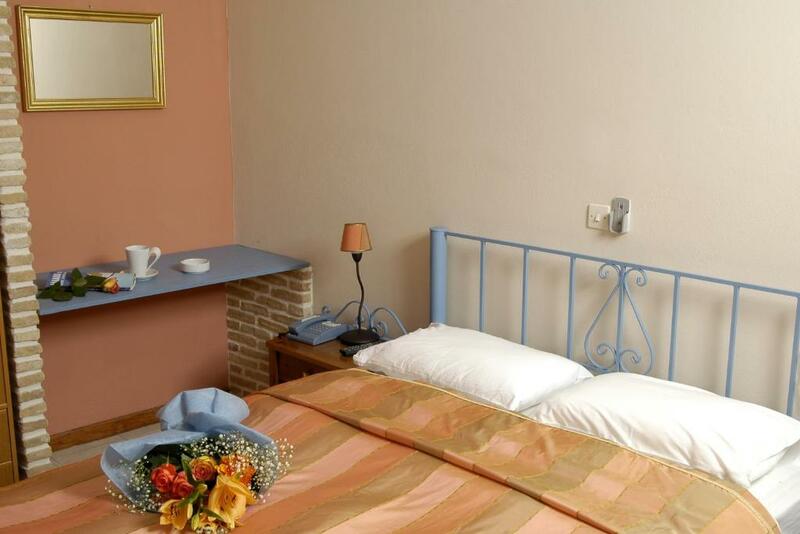 Rooms are spacious, very nicely furnished with style, equipped with all necessary things. The owner is more than kind, just as her staff. Very nice yard surrounding the house. There is nothing else that a leisure traveller would ask from a small family hotel. Lots of stairs for us, but that is what gives the building its character, so that is an observation rather than a dislike. Quirky room with antique saddle on bed platform and antique Singer sewing machine complete with treadle as table on lower part of the room. 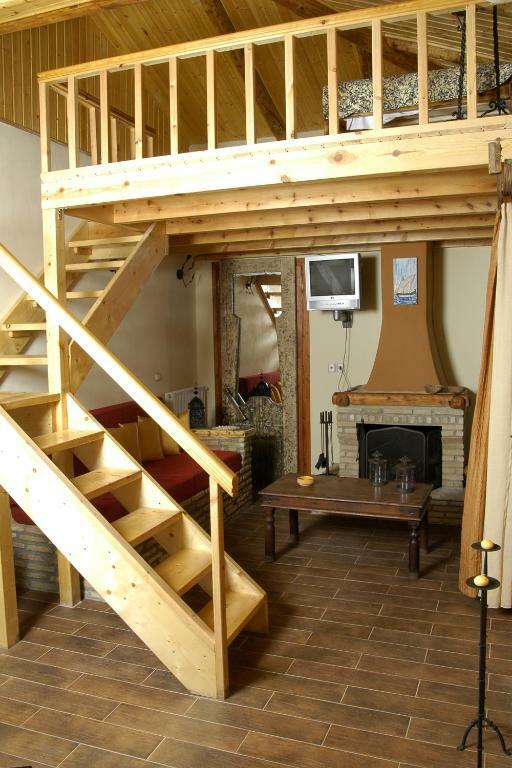 Platform would be ideal for younger couple who can nip up the stairs more nimbly than us! Fantastic breakfast - best in a long time with a high quality variety. About them minutes walk to the port restaurants. No parking places foreseen... The shower needed some reparations. Excellent greek accomodation, hidden in middle of the small town of Galaxidi. The family rooms exceeded the expectations, and the view was stunning. 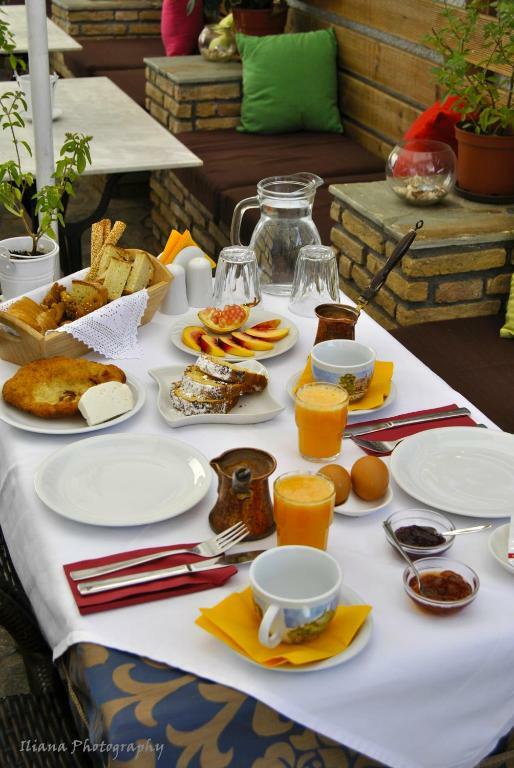 The typical greek breakfast was very good, but do not expect any continental/american-style breakfast. Excellent airconditioning.